Maybe this will sound too simple an idea for some, but I’m telling you it’s been working for me. I feel like I have made real progress of late boosting my self-esteem, just by deciding to stop being horrible to myself. No more belittling myself when I make a mistake, no more slagging off my appearance when I look in the mirror, no more telling myself that my friends are far more attractive than myself. I chose to stop. I chose to approve myself, and treat myself with kindness and love. I promise you it is worth a shot. Stop criticising, and start approving. 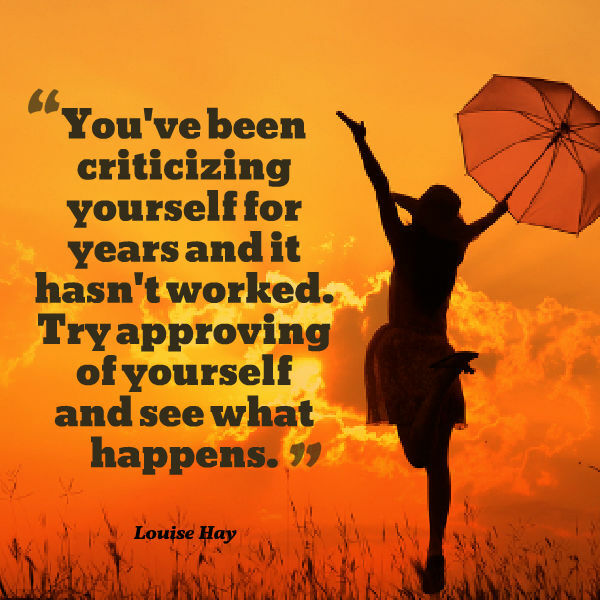 Boost of the day #40: Stop criticizing!